On Sunday the New York Times wrote a powerful and quite glowing story about billionaire Diane Hendricks’ mission to remake the troubled town of Beloit. Money couldn’t buy publicity like this. “When Diane Hendricks sees something she doesn’t like here, she buys it,” reporter Alexandra Stevenson writes. It’s an interesting if selective story, with all good news about Hendricks and her impact on Beloit, where her company ABC Supply, the nation’s largest wholesale distributor of roofing, windows, siding and gutter materials, is located. It might have been located in Janesville, the story notes, but Hendricks and her late husband, Ken, were turned down for a loan there when first getting started: “We don’t do business with entrepreneurs, and we don’t want your business,” Hendricks recalled the banker saying. As a result, the two “turned their backs on Janesville, focusing instead on Beloit,” Stevenson reports. Hendricks also worked with city officials in Beloit to help attract the Rockton, Illinois online coupon company FatWallet across the border to Wisconsin: it has relocated its headquarters in the Ironworks complex. Which raises the question of whether Hendrick’s vision for America is one that leads to economic success for average Americans. Stevenson doesn’t report that Hendricks urged Gov. Scott Walker to go after private sector unions, or that the Right to Work law he signed has been found to lower average wages in states where it has been passed. Stevenson doesn’t tell us how many employees at ABC Supply have family-supporting jobs. Nor does Stevenson report that Hendricks didn’t pay a cent in state taxes from 2012 through 2014, or that tax cuts passed by Walker and Republicans went mostly to wealthy Wisconsinites like Hendricks, or that Hendricks has grossly underpaid her property taxes going back many years. Liberals might argue that Hendricks is a classic example of trickle-down economics, proof that tax cuts for the rich fail to produce a strong middle-class. Conservatives might argue that Hendricks is evidence that tax breaks have led to good things in Beloit. But either way, it helps to have all the facts recounted. It’s rather surprising to see the Times, celebrated for in-depth reporting, miss so much relevant information about Hendricks in its story. Stevenson normally covers “hedge funds and the world of finance,” as her newspaper bio notes, so the story is a bit of a departure for her. How did the article originate? The reader doesn’t know. I wondered the same. Maybe the writer just read Janesville: An American Story. It is a glowing story though. Where’s that liberal media bias? Thank you Bruce, please do not forget the top 5 Billionaires in the country who all happened to be protected by Democrats. Bill Gates, Warren Buffet, Jeff Bezos, Mark Zuckerberg and Larry Ellison. These Billionaires all call for higher income taxes yet 99 percent of their wealth is not covered by income taxes. Even the NY Times is owned by Billionaire Carlos Helu Slim. He pays no income taxes. What in the hell does that have to do with this story? Can you try not trolling for like five seconds? Vince, the reason Diane Hendricks pays no income taxes is …drum roll…99 percent of her wealth is not based on income. So, why must she pay income tax on zero income. Jason, you’re saying she maintains her lavish lifestyle on zero income. There’s certainly a seven-figure income there somehow. If she’s legally not income paying taxes, then the income tax code is broken. How did the get broken & how to make lawmakers fix it, is the question. If she was paying taxes before the repubs took over, I’m guessing the repubs broke it in favor of rich individuals and businesses. Jason, your comments about Carlos Slim are not just irrelevant to this topic; they are also factually wrong. And even the third of the Board he gets to help elect contains NO director chosen by Slim. Since his NY Times shares pay a dividend, we know he pays US income taxes since those taxes are withheld when the dividend is paid. So this is how it is going to be from here on out in America? Wait around for a billionaire to buy up a town and redevelop it. Sound a bit medieval to me. As much as I dislike her politics, you gotta give Hendricks some credit here. Great to hear of this development and even if Beloit is still a mess, this is a massive improvement. She doesn’t pay taxes? You mean… like one of the poors? Well that’s not right. Shouldn’t she be drug-tested or something? Um…that’s kind of a weird cause-and-effect way to describe the explosion that was Act 10. Please inform me. When did receiving a dividend from a stock(NY Times) become declared part of income and then accessed the income tax. A dividend is considered a capital gain. I chuckle at the though that you think owning 17 percent of a companies stock does not make you an influencer of news. 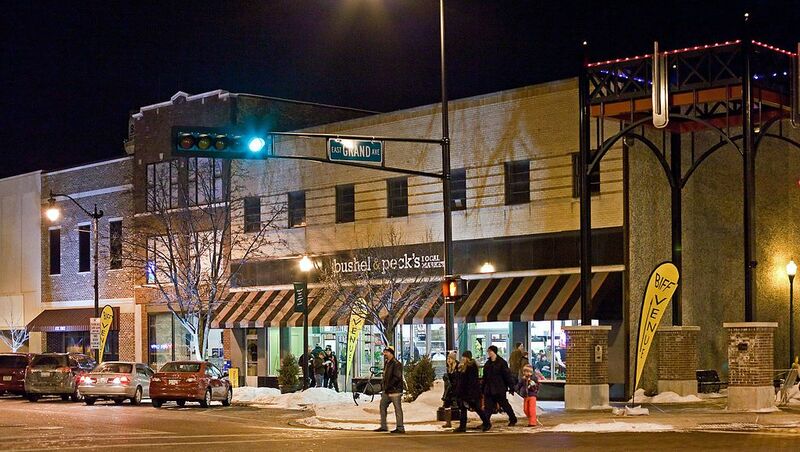 Until liveable wage jobs are created to keep people in Beloit pretty buildings are not enough . Downtown looks better . Poverty rates or high unemployment have not been reduced as was correctly stated in the NY Times article , (with the new revised properties. ) It is true she got deals from gov walker and had a lot of negative influence on the changes in Wisconsin that caused months of tens of thousands of citizens protesting and occupying the state capitol. We lost a lot . Maybe Art Sulzberger wants the Koch sister to buy his newspaper. Look at how the NY Times stock is structured and then look at how that stock exercised control at the recent Annual Shareholders’ meeting. As of this March, 99.5% of NYT shares were Class A, and only 0.5% were Class B, but Class B shareholders hold all the power. Look at the above (remembering that Mr. Slim only holds Class A stock and is prohibited from ever holding Class B stock) and explain how he “influences” the NY Times. The only thing he has ANY chance of influencing is whether Ernst & Young continue as the NYT’s auditors. Jason, did you, by any chance, study tax law at Trump University? Damn. Troll got owned. Game, set, match. Late to this post, but I have a couple-three things to say about Diane Hendricks. First off, I commend her efforts on behalf of Beloit, she’s done quite a bit even though it hasn’t really turned the town around. A two-tier society sure as hell doesn’t restore the American middle-class and her political leanings and actions actively work against that restoration. As Tom Bamberger said, “Sounds a bit medieval…”. Second, she’s one I’d count, along with her late husband Ken and John Menard, as what I label “Hillbillionaires”. If there is a God, he sent a message to Ken Hendricks to “Stay off of roofs” by giving him (along with initiative and a timely housing boom) a very successful business. As witnessed by his unfortunate demise, he didn’t get the message. Any more than John Menard did when he chose to do crappy things like a recruit a literally minor (low rank and 16 YO) employee to help him personally dispose of a very small environmental issue (asbestos in a warehouse, packed in black garbage bags tossed in the back of his old pick-up truck) on public land. These actions are proof again that, like Donald J. Trump, money can’t buy class or even simple human decency. Sad! Third, I think her politics are as they are only because she thinks rich people are supposed to BE conservative and she has a deep need to belong, hence, she’s a conservative of the worst sort. Still, she’ll always be a Hillbillionaire as long as her politics remain the same. Just like John Menard. Hendricks, like mist antiworker rightwing billionaires are authoritarians and totalitarians. She deserves neither respect or praise. Her policies and whom she supports reveals her character. Millionaires and billionaires are not to be praised, they made their money on gaming the system on the back of workers, while using their power to take down the middle class. Oligarchs, republicans should know whom their masters are, the politicians do, the rest of you are willing tools.